Designing city spaces are continuing to see a shift from the minimalist to more detailed sophistication. 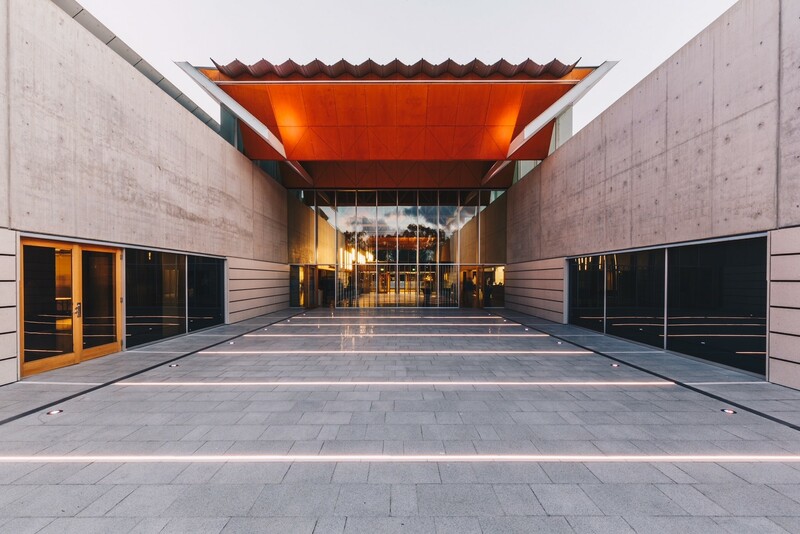 In Australia, natural elements such as wood and rocks remain the materials of choice if the intention is to bring shapes and texture against plain backdrops or to break patterns. A great material to pair with wooden elements is Terrazzo Marble. Here are some of the easy combinations that can elevate your interior design with natural and timeless elegance. The kitchen and dining room areas can have so many elements at play. The idea is to make sure the elements match and complement each other. 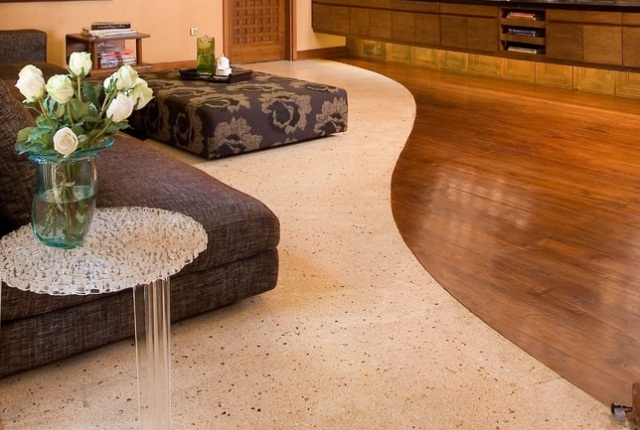 With Terrazzo’s flexibility in colors and combinations, one can customize the color and match it with the brown wood. Either a lighter shade of brown or a total contrast. Do not be hesitant to explore terrazzo colors to match with wood, depending on the overall theme of your design and the tone of the wood. Some wood are treated with strong chemicals to bring out a darker tone and patterns. 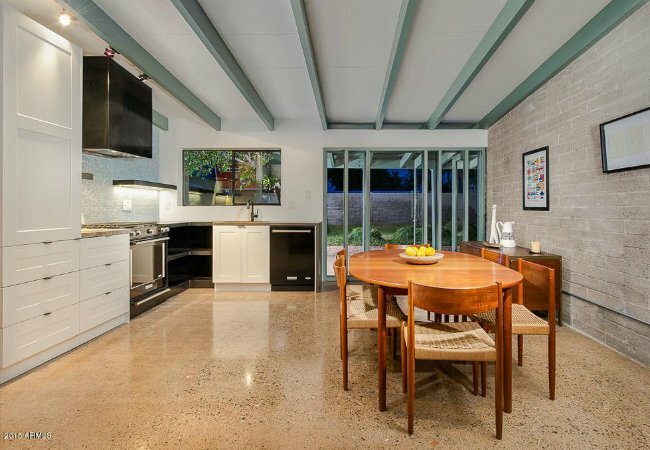 You may consult Terrazzo Australian Marble for the best kitchen tones to match your wooden dining furniture. One of the most unique yet underrated features of a living room is an organized library of books, magazines, and other reading materials. While many say that these libraries and shelves may only accumulate dust and take up space, this is a good storage of books and gifts kept and received over the years. Having wooden book shelves in one wall of the living room with terrazzo flooring leading to it is a little treat for the senses. As playful as terrazzo could be with patterns and colors, the solid book shelf can be a sturdy and solid fixture that makes an amazing conversation piece for any living room. Make a statement in the bedroom by playing with your floor and space, combining wood and terrazzo to create distinction and sections. This expands the space and creates a fantastic personality for the bedroom. Terrazzo and wood will always be a timeless pair for interior design. This is perfect for suburban homes, bringing a contemporary feel with a natural comfort. Ask Terrazzo Australian Marble today for more info on how Terrazzo can be paired with wooden elements for interior design. When creating the rustic look for your property, it is important to remember some key elements that can bring an authentic yet luxurious feel to interior design. Bricks are a classic material that has been used time and again to bring out the old industrial feel. 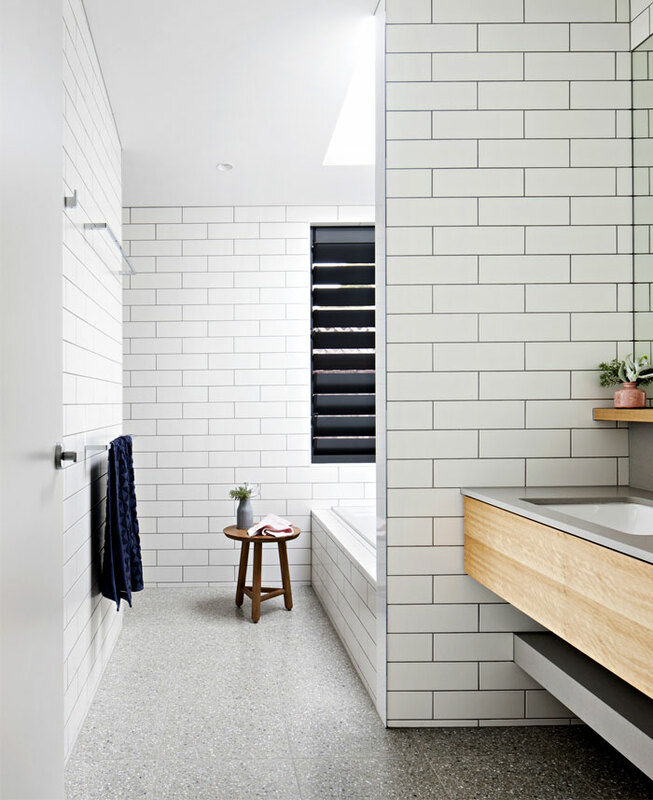 How can bricks and terrazzo go well together in an interior design concept? Having brick walls and pillars in the kitchen matches well with white terrazzo countertop. This balances the colors very well and having white terrazzo countertop sets a very clean finish which is essential for food preparation and storage areas. To further emphasize the details of the red bricks, one may add yellow spotlights and accents such as frames or other elements that is related to food preparation, such as metallic elements to complement utensils. An overall white light will bring out the cleanliness of the kitchen and the further illuminate the white terrazzo countertop. 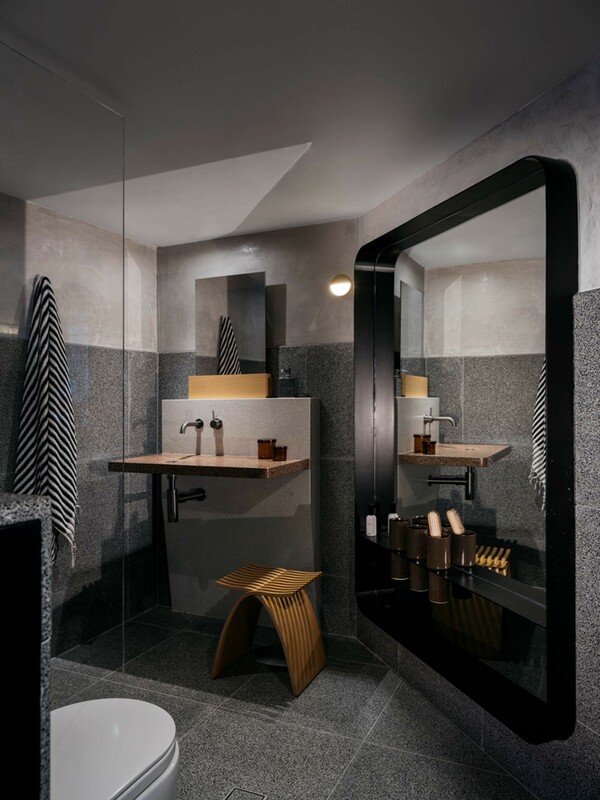 One clever way to separate the toilet from the shower area is to make bricks as the backdrop in the toilet area, while have terrazzo marble for the shower area walls. In the toilet area, to bring in a sense of fresh elements, try adding hanging plants and some greens directly against the red brick wall. Some good contrasting elements to this natural hanging plants are the harder, more rustic elements for the shower area, such as stone soap holders or shower heads and faucets that have a less polished finish than the usual shower heads and faucets. Another great combination would be to have brick walls in the bedroom combined with terrazzo flooring. It is best to put the walls on the side of the room without the bed. The crevices of the bricks can accumulate dust, so it is better to have it in an area where it will be easy to clean without the need to move furniture or the bed around. The terrazzo flooring should have a warmer color tone versus the plain white terrazzo in the kitchen. This gives a calming and cozy feel in the bedroom. There are many other ways to combine bricks and terrazzo in interior design. 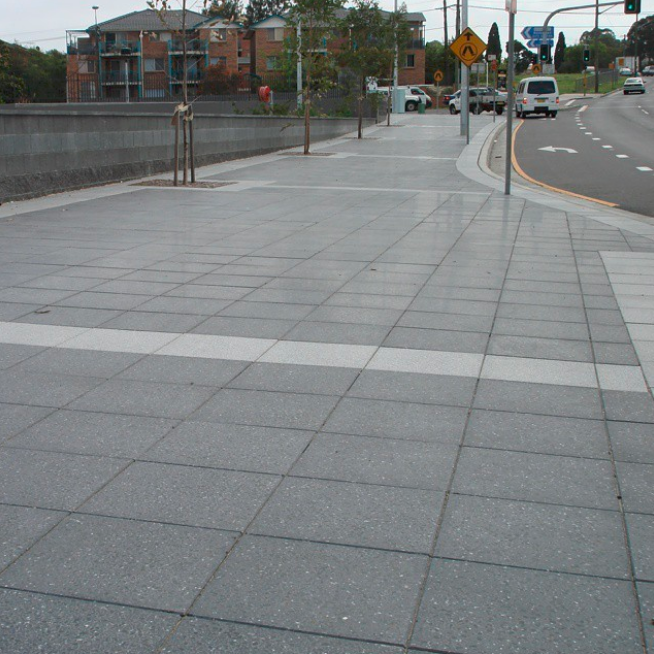 To learn about these options, you can consult the top terrazzo suppliers in Australia today. The new year has just started, and new projects are coming through. 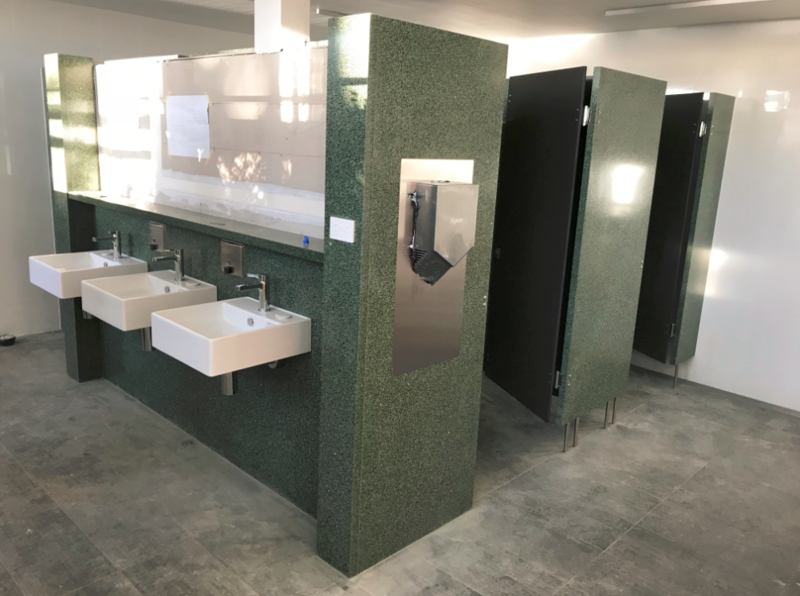 It’s time we give the top five trends for designing your home or office space with Terrazzo flooring and partitions that will get the most thumbs up this year. There will surely be more greens and plants indoors this year, and it is best to adopt this trend and experiment with the wide array of plants that can be used for your indoor theme. For the busy, high-traffic spaces, best to put in low-maintenance indoor plants such as a Bonsai tree, Pothos, Iron Plants, Succulents, Snake plants, or the lucky Bamboo. Putting greens against light-colored Terrazzo marble tiles will light up a room instantly, appearing vibrant and brighter with stark contrasts all around. If the flooring has already been laid out and decided, one can also use terrazzo pots for plants. As awareness increases about sustainable practices in design, more clients are ensuring their visions for interior design are executed in the most environmental-friendly approach, as much as possible. With the least carbon footprint and polluting by-products, designs considering the environment’s status is surely a hit this year. From incorporating energy-efficient lighting, to sourcing natural and renewable resources such as bamboo or natural stones, employing the most responsible practices is marked “hot” and classy this year. Feminine colors are taking over. Even the most sophisticated spaced which only used to have greys, whites, and blacks will level up using femme colors, tones, and softer elements. Terrazzo marble for flooring will definitely match elegantly with light tones. Rose colored walls would match with pearl white and light grey Terrazzo colors. Or even smaller elements such as gold and white terrazzo kitchen countertops will bring out the femme glam of spaces. Minimalist art is slowly taking a backseat this year to give way to vivid, vibrant, concrete, and maximalist art pieces. Spaces will be revived with art pieces that has bold details and colors. This will be matched with smaller pieces such as floor lamps and throw pillows that will take color cues from the same center art piece for the room. Terrazzo’s simple and subtle tones will allow these colors to pop in the room. Plain walls are also going to be obsolete and out this year. Wallpapers are back and will revive the classic and playful era of shapes and patterns. Designers will have more options for wallpapers now, given the capacity to customize and print designs on-demand, unlike in the earlier decades where wall-papers are usually off-the-shelf and limiting. Maximizing Terrazzo partitions and flooring with these trends will be a smart choice for your home or office space. Talk to Terrazzo Australian Marble today to get the best Terrazzo recommendations for your design vision.